One of the glories of Springtime must surely be the wonderful flowers that it brings. 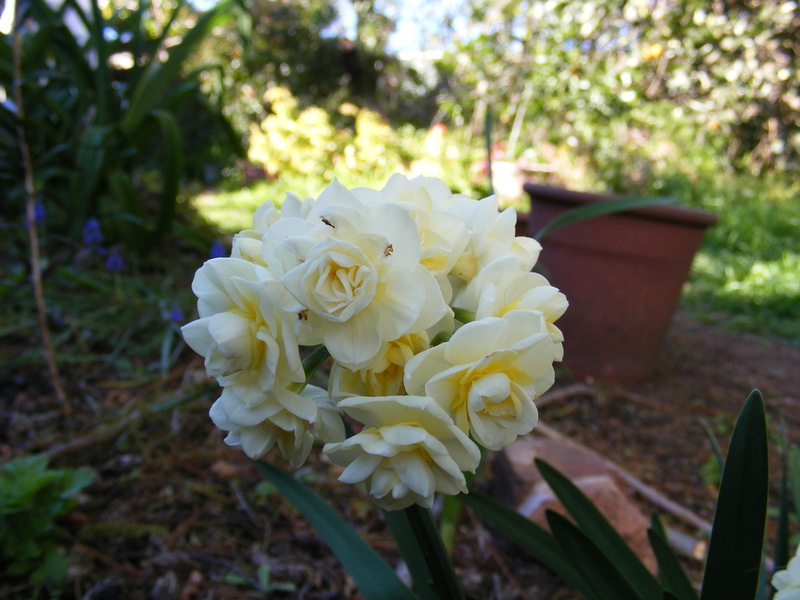 Here is a photo of a beautiful modern variety of Jonquil, taken in my garden. 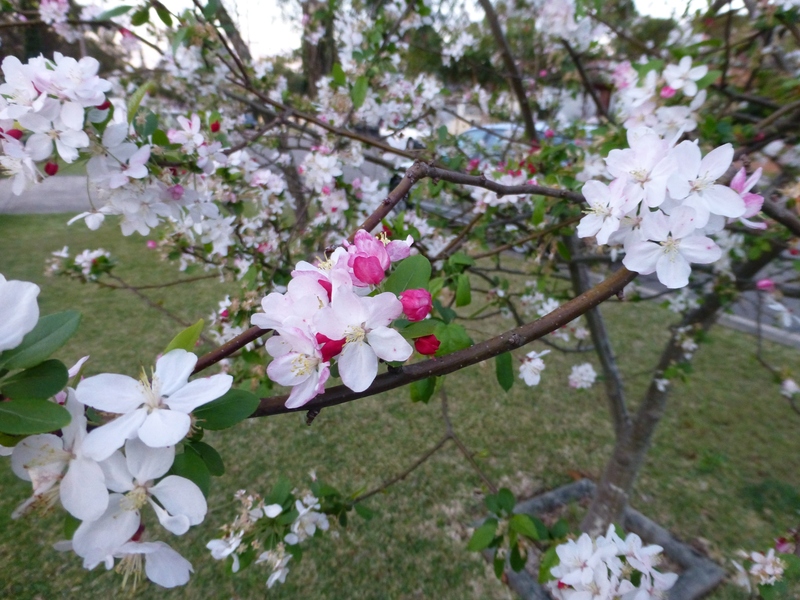 I cannot allow Springtime to pass without showing readers these lovely blossoms. They grow quite near our home. Many years ago, our neighbours planted a pair of these beautiful trees on the nature strip. They explained that they wanted to ‘leave something behind’: a legacy of their time. Just a few years later, these people moved on, but just as they had predicted, these living reminders grew and flourished. So right now, all those who pass by can pause and admire their delicate colours and form. Please enjoy this little glimpse. 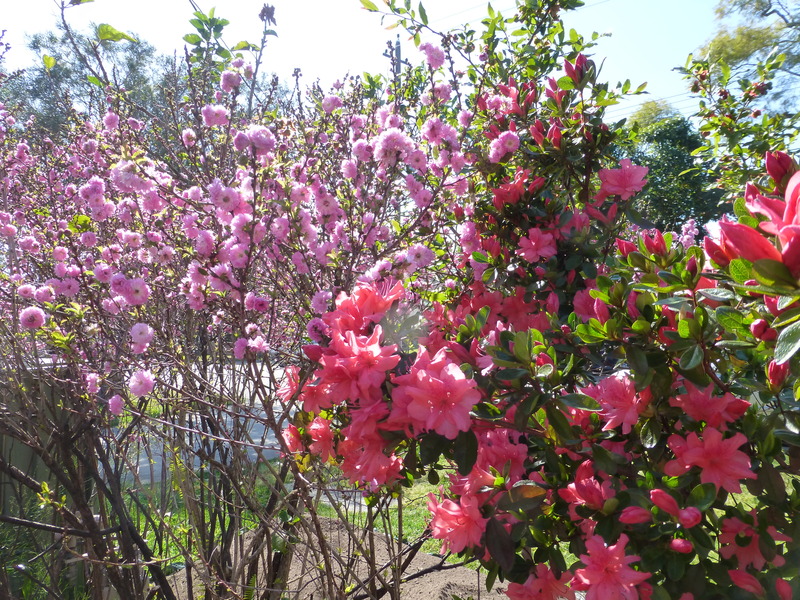 A celebration of Spring…..well, perhaps that’s going to far, though here in Australia, among the exotics both Azaleas and Prunus rate highly. This is a small section of our front garden. Further along, one finds more Azaleas –mostly the old-fashioned varieties. Waiting for their day in the sun, the Frangipanis are yet to sprout, though the hardy Geraniums and pelargoniums are in full bloom, now. Where would we be without flowers? In a place that I don’t wish to contemplate…..